About a year ago, I made a small project over a weekend called Heist. 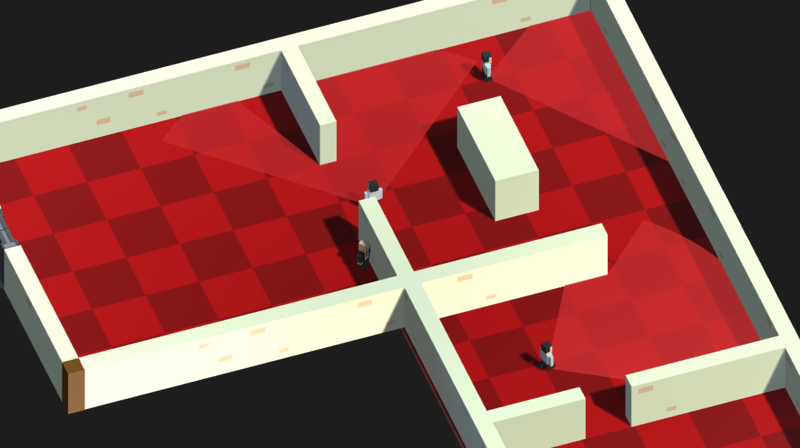 It was a super simple stealth game and didn’t have too many features. Now I’ve decided I’m going to try to come back to the project and am going to flesh it out and make it into a full game. Since I managed to make the original version within a few hours, I believe that this version should be easy to keep in scope, which is a problem I have had with a lot of my other projects. Currently, I plan on adding more stealth features, such as multiple guard types and more obstacles, hacking, distractions and more objectives and mission types. Hopefully, this shouldn’t become too big of a project, as I am planning on giving myself until the end of January to complete the full project. Now that I finally have a new project in development, I will hopefully have more interesting content to blog about, which should make me more likely to post more here throughout the next few months. Anyway, that’s all for now, but expect more soon! !